After James B. Comey was unceremoniously fired by Donald Trump from his post as FBI director this week, it was understandable that he kept a low profile for a few days. So what got the (now former) F.B.I. head out of bed on Saturday? Why, the theater, of course. 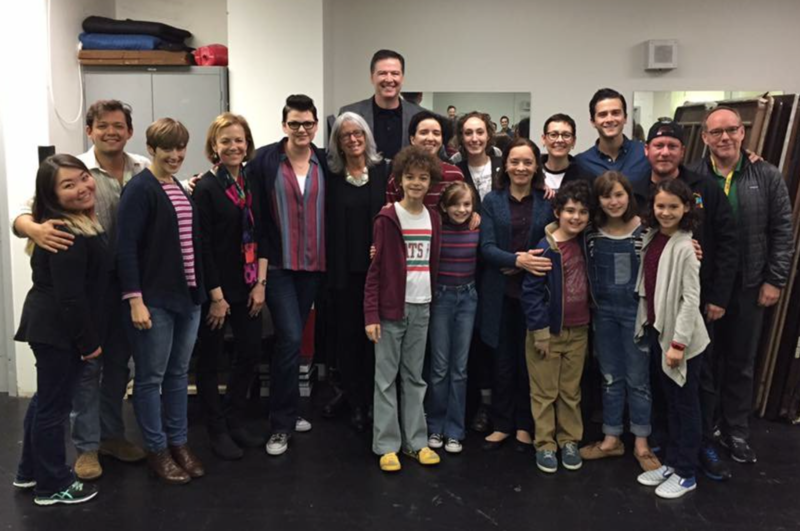 Comey attended a matinee of the musical Fun Home at the National Theater in D.C. this weekend, and seemed to have a lovely time. Considering that this was only four days after being publicly sacked, we have a new respect for Comey, and a deeper understanding of the healing powers of live theater. Plus, Comey’s in good company, as Barack and Malia Obama attended a Broadway show just a few months ago, and Hillary Clinton has seen multiple plays since the election. The healing powers of Broadway are here for the D.C. downtrodden. According to The New York Times, Fun Home‘s lead producer, Barbara Whitman, said that Comey and his wife told her that they bought tickets for the touring Broadway show far in advance, and decided they just couldn’t miss it. Fun Home won the 2015 Tony Award for Best New Musical; it tells the story of a young girl meditating on her father’s death while discovering her queer sexuality, and is adapted from the graphic novel and autobiographical work by Alison Bechdel of the same name. Considering the heavy plot and the rough week (to say the least), it’s no wonder Comey was emotional! Daughters really do know best.